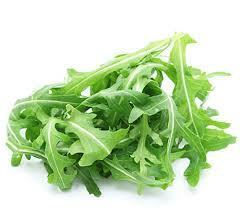 Arugula, also called Roquette, is a leafy green vegetable, like lettuce and spinach. Native to the Mediterranean and Asia, Roquette is a member of the mustard family. Like other leaf crops, growing Arugula in cool weather is best. Arugula, or Roquette, is known by several other names, including Rocket, Garden Rocket, Rucola, Rugola, and Rocket Salad. Roquette is a leafy vegetable with a peppery, spicy taste. It is most commonly used for salad greens, or cooked like spinach. It is also used it in soups, pastas and pestos.